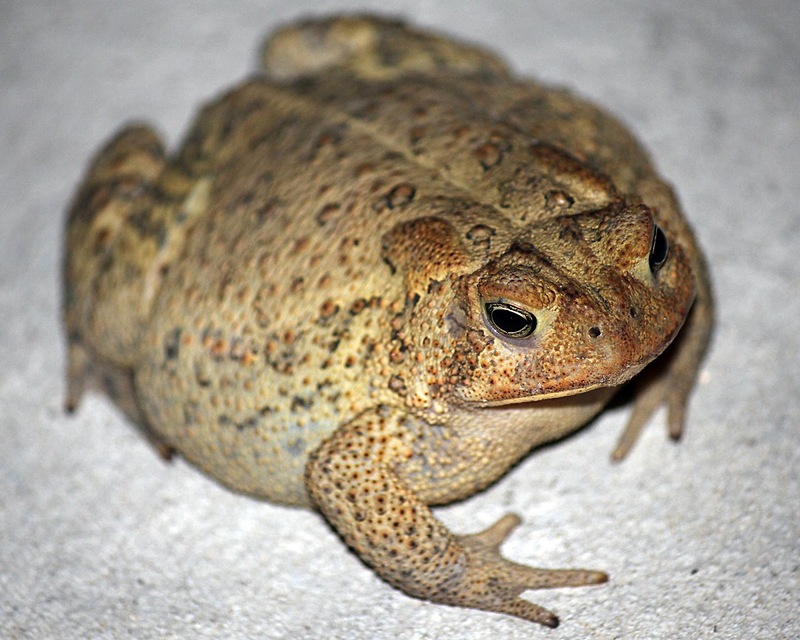 My Scrappy Life: Wandering photos: Got toads? What happens when you get home and find a toad on your front porch? You take pics of it of course. It was dark enough, it was hard to focus on the little booger....but I got one shot. My one "claim to fame" with this creature. Never realized toads have three toes.... until I looked at this on the screen.